Our cottage has two doors, one in front and the other along the side. A key unlocks the side door there is no key for the front door. The front door faces the lake and I’ve spent many a morning sipping coffee talking to grandma, B’s mom, or sipped coffee alone and thought of the times we shared our morning coffee. Lately, it’s been only Ivy and me. Ivy curls up on the footstool leaving barely enough room for my feet and gazes out over the front yard as I enjoy my morning coffee. She keeps an eye open for ducks in summer and deer in winter. 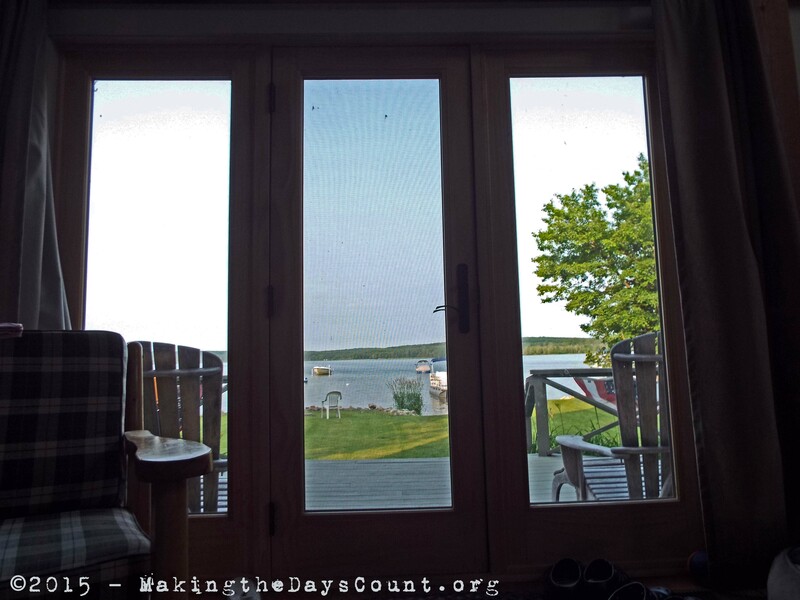 In the afternoon, the doors open to yard and the sounds of play, wind, and the lake. I’ve seen every season through that door and it’s held back every season, too. It’s kept the cold and snow out and allowed the sunshine in to bring us light. I’ve watched the sunset in the evening and the sun creep across the yard from behind the house each morning. 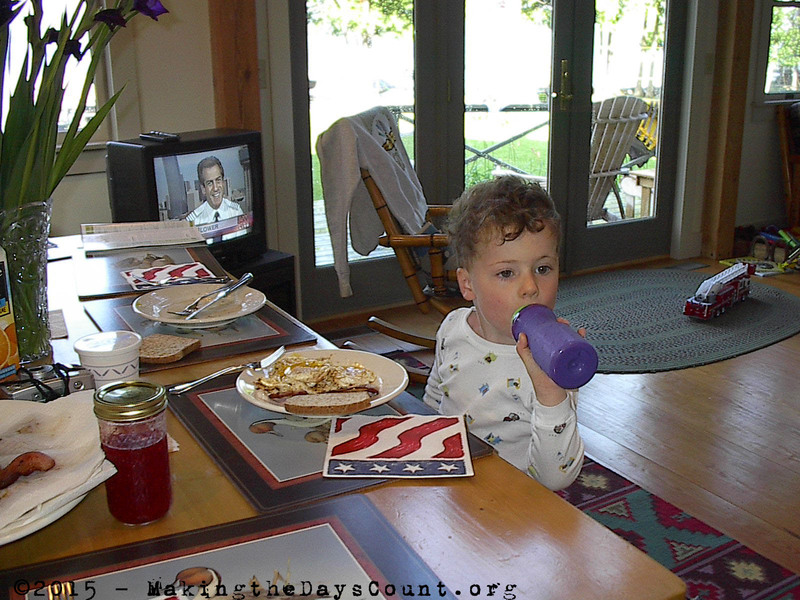 W on the Fourth of July in 2001 – my he’s grown and the doors have remained the same….